Find My Workspace lists over 95% of the serviced offices market in Pudong. Simply click Request Quote to check pricing for one office, or Add to Basket for multiple offices. This centre offers fully furnished serviced offices with an outstanding range of business support services in a calm, friendly and professional working environment. The building also houses a five-star hotel for the convenience of tenants and visitors. This centre has been carefully designed to incorporate the fengshui elements of fire, earth, metal, water, and wood creating a customized space that is beneficial for success and achievement of goals. A city within a city building design, the building includes shopping, dining, 70 floors of business offices, neighborhoods, and a 5-star hotel and spa. Located in the heart of the Pudong finance and trade zone has four million square feet of gross floor area including two grade-A office towers, an up-market shopping mall with a wide variety of major international retailers, the five-star Ritz-Carlton Shanghai. 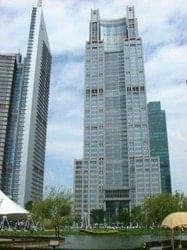 This center is situated in a landmark building, which is visible from miles around. Some offices benefit from spectacular views over Shanghai. Amenities include a gym and fitness room, cybercafé, Sky TV, lifts, a lounge area and meeting facilities. This is a 29-storey building with a total area of 44,000 m². 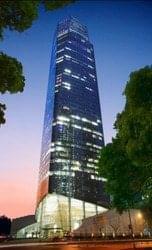 The building was designed and built according to the criteria of an international bank’s headquarters with the most advanced high-tech facilities. This building is a 6-storey art-deco design tower just 10 minutes walking distance to the famous Huaihai Road shopping area and a minute away from the Yanan Freeway. Located on the 4th floor, the 1000 square meter center offers the best value for its fantastic downtown location. The center is located near metro lines 1, 10 and 13 and adjacent to Huaihai Park, offering a temporary tranquil escape for a short walk from the hustle and bustle of the city. This is a 38-storey Grade A building wrapped with a golden glass curtain with an LED flash screen, and its interior is built with high-quality marble in classic European style. The building is only a 5-minute walk from Lujiazui metro station on Line 2, with 5-star hotels such as Shangri-La Hotel, Grand Hyatt Hotel, Oriental Riverside Hotel and Ritz Carlton Hotel in close proximity. Next to Aurora Plaza is Super Brand Mall, an international style urban shopping center with shopping, dining and entertainment. 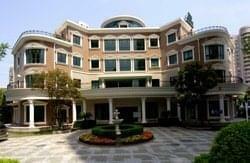 This centre is located at Green City International Community in Pudong. 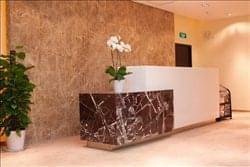 It is furnished to a very high standard with state-of-the-art facilities. This centre provides services including manned reception area, interview rooms, executive lounge, Internet IP phone and as well as car rental and car parking service. We are keen on providing a comfortable working environment and professional services to meet different business requirements. 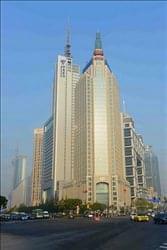 This business center is an ideal working environment located in Pudong’s prime commercial area. It’s located near the Yohan Department Store and right next to Times Square. In a five-storey building, we occupy the 2nd and 4th floor fitting with 43 office suites. The center has an extraordinary open-air terrace offering a refreshing ambience for after work gatherings, events and celebrations. 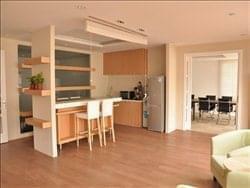 The location is easily accessible only 10-min on foot from the Metro line 2 and Metro line 9 on DongCheng Road; 10 minutes driving from Puxi through the Fu Xing tunnel. This business centre provides brand-new hard cover offices with a capacity of 1–10 people. Flexible lease terms, well-organized daily administration and maintenance service creates a low-cost but efficient office environment. 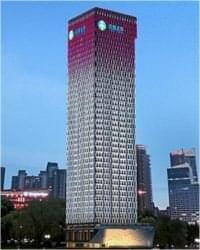 Located in the heart of Pudong’s fast-developing Jinqiao area, these new business premises occupy the 6th floor of a premium office building. 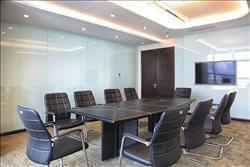 They are equipped with state-of-the-art IT systems, a beautifully designed meeting room, lavish common areas and lounges, and an attractive reception area. Surrounding the building are various technology, industrial and electronics companies and other multinational organisations. The building also houses a cafe, a convenience store and other useful amenities, and provides administrative and consulting services. This Pudong-based shared office space and serviced offices are ideal for start-up companies, and provide an address for registration use. 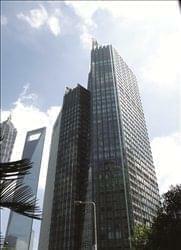 This business center is an office building located at a prime commercial area of Pudong, Shanghai. With panoramic views from the 22nd floor over the city and a range of additional business services available, this office building is also entitled to Representative Office and WFOE registrations. Only 5 minute away from Puxi, it has a direct access to the Fuxing Tunnel. It is also very close to public transportation such as the metro line 9 (Dong Chang road) and line 2, 4 and 6 (Century Avenue). The tenants of the park specialize in research in life sciences, software, semiconductors, and information technology such as GSK, Roche, Lenovo, Intel, IBM, Citibank, eBay, Henkel, Dow, Dupont and Sony. By using the facilities, clients will be able to gain access to secure international standard offices, meeting rooms, virtual office and professional support solutions that will allow them to focus on what is most important – their core business. 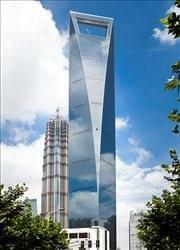 This Grade A office tower is one of the most iconic buildings in Shanghai. The center is divided into 27 offices starting from 2 to 24 workstations. From the 27th floor the center boasts a dazzling 360-degree view of Lujiazui including some of the most famous architecture in Shanghai, such as the Pearl Tower, the Jin Mao Tower and the Shanghai World Financial Center. 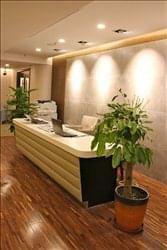 These are bright, contemporary style, fully furnished offices with state-of-the-art IT facilities. Stretching some 269 m above Lujiazui Central Park in Shanghai’s Pudong financial district, this building takes a prominent position amongst what is fast becoming one of the world’s most recognized skylines. 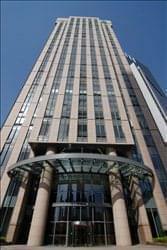 The offices are located on the 22nd floor, where one can look out to the green park and the Bund. It provides instant, flexible and easy to utilize office space solutions, from Class A fully equipped and furnished office spaces to large conventional office spaces with separate executive suites, this centre will meet the requirements for every size and type of business. The cost-effective serviced office solutions are designed to offer you the benefits of highly functional and aesthetically pleasing business environment at an affordable price. This business centre in Shanghai prides itself with a few achievements – located in Shanghai’s most sought after Lujiazui financial district, and for its high client-value, and client-retention rates. A lively, and a committed team work to make the clients feel welcomed, and the occassional tea-parties allow for clients’ mingling, and networking. This is more than the conventional office workspace. 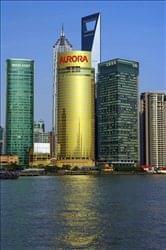 Pudong is known as the ‘Pearl of the Orient’, acclaimed as the epitome of Shanghai’s modernization. This building is located at the center of this finance and trade zone, and is surrounded by 5-star hotels, service apartments, popular dining and entertainment venues, and shopping centers housing world-class brand names. To obtain information for your selected Pudong Serviced Offices, please tick the "Add to basket" box for each office you prefer and complete the form below. We will then send a detailed report via email.